How can I change my contact form email address? 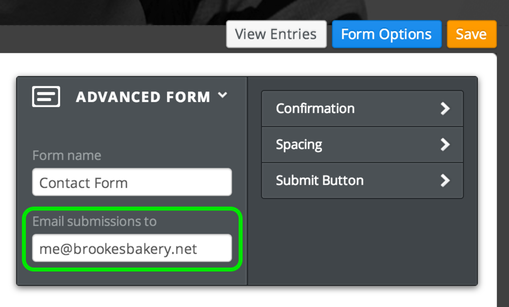 Click on the form in the editor and then select the Form Options button. This will bring up the Form Options toolbar. Just change the address shown in the "Email submissions to:" box. Be sure to Publish the site after making the change. You can even enter multiple addresses in this box if you like. Just separate each address with a comma.